It is being described as a Christmas miracle. Last night in Las Vegas, singer Phil Lewis joined guitarist Tracii Guns on stage to perform a ten-song set of classic L.A. Guns songs. A reunion that many thought would never happen, happened. It all came about by way of the Sin City Sinners and a Toys For Tots drive; Tracii had been announced already, and Phil Lewis surprised the crowd by showing up to handle the vocals. Of course, this does not mean Phil will allow Tracii to rejoin the group. But it’s nice to see them bury the hatchet for a night and share the stage again. 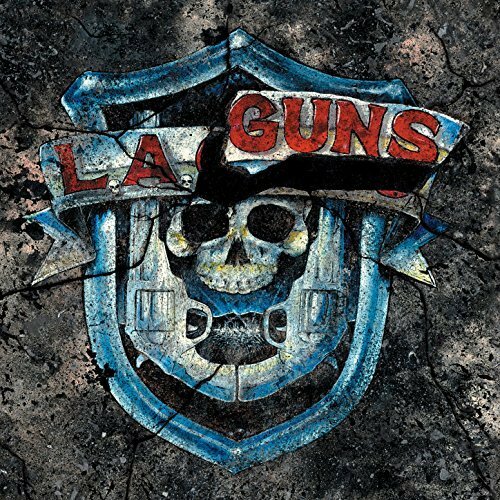 Tracii Guns of L.A. Guns fame has a new project called League of Gentlemen. There is a short sample of the song “Feathers in a Hurricane” posted on Tracii’s Tumblr. So short there’s really no way to form an opinion one way or the other. Bang Tango is back, and their new album, Pistol Whipped in the Bible Belt (review coming eventually), sounds nothing like the pop metal they were putting out in the 1980s. It’s heavy, dark, and all sorts of good. As great as “Someone Like You” was, I’m glad they went another direction this time. Donnie Vie, a vastly underrated songwriter from the vastly underrated band Enuff Z’nuff, has a new album called Wrapped Around Your Middle Finger (cover image to the right). I haven’t heard it yet, but my expectations are pretty high. Are there any releases (hard rock or otherwise) that you are looking forward to this year?